Artificial neuron network are algorithms mimicking the behavior and interactions of neurons. They can be trained to distinguish classes of stimuli, a feature used for instance in the domain of image recognition. A large number of images of the same type of object are presented to the neuron network, which gradually encodes the "essence" of the visual features of the object. The precise way in which these features are encoded into the network are however hard to understand, as the learning process is automatic. 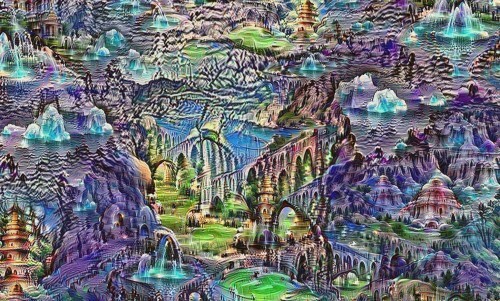 A team at Google managed to visualize the "mental image" that a neuron network has of the object it is supposed to recognize. 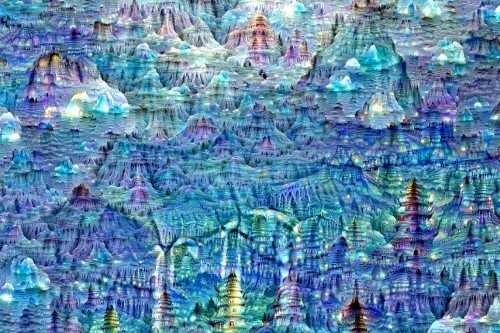 For that, they started from random images or photographs and made the neural network enhances the features of the images that it would tend to recognize. 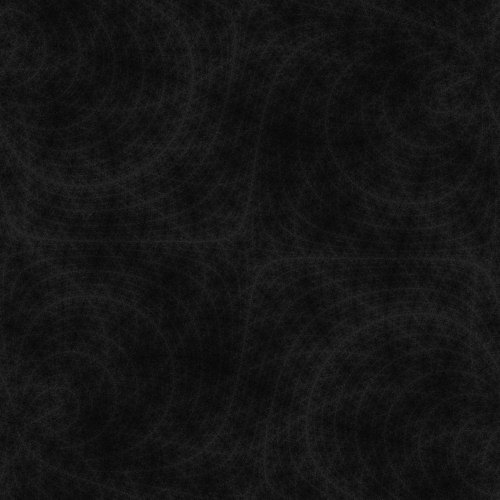 This results in strangely surrealistic and sometimes fractal pictures. The details can be found in this post of the Google research blog, the associated online gallery is here. 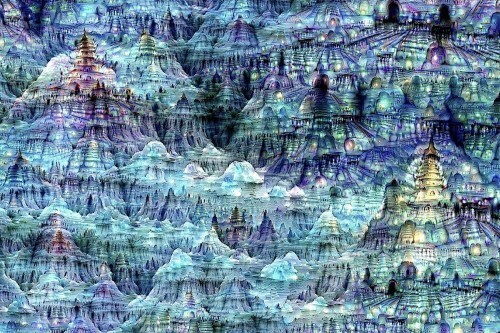 Among my favorites are the dreamy fractal landscapes below, constructed using random images are seeds. Check also the associated video. Alexander Mordvintsev, Christopher Olah and Mike Tyka, Iterative Places 205 GoogLeNet 14 (2015), digital image. Alexander Mordvintsev, Christopher Olah and Mike Tyka, Iterative Places 205 GoogLeNet 16 (2015), digital image. Alexander Mordvintsev, Christopher Olah and Mike Tyka, Iterative Places 205 GoogLeNet 18 (2015), digital image.